As our “Let’s Look at Lighthouses” series continues, we travel up US-1 from Freeport about 40 minutes or so to the pretty village of Damariscotta, on the Damariscotta River, where we travel through town, then out the peninsula to Pemaquid Point and Pemaquid Point Lighthouse. Marking the entrance to Muscongus Bay just to the east, and John’s Bay to the west, Pemaquid Point lighthouse was ordered built by President John Quincy Adams in 1827. The original tower was of rubblestone, and did not last long – some speculate that the lime mortar may have been mixed with salt water, weakening the bond. The replacement tower was built in 1835, at a height of 35 feet to the lantern deck, and high above the beautiful rocks that lead to the water some 79 feet below. 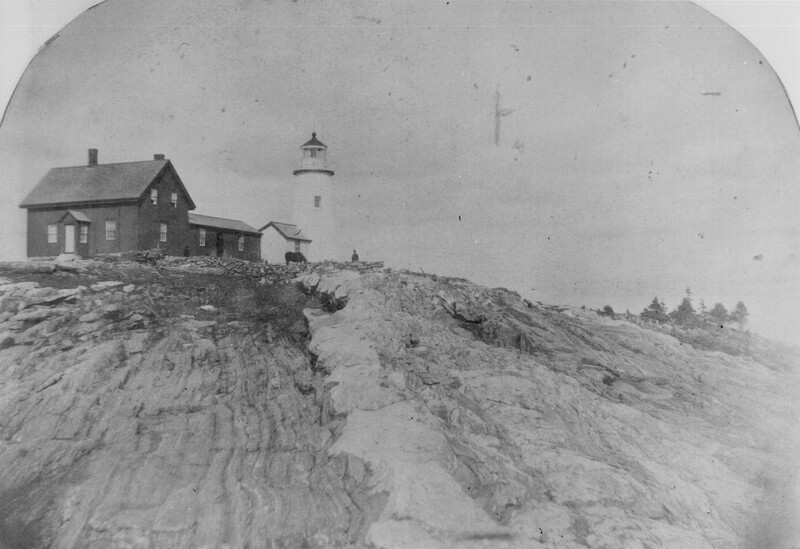 Because the lighthouse was perched so high above the water, and the rocky bluff, it was very difficult to transport oil and supplies to the station. Lighthouse tenders had to anchor near the rocks, which was quite hazardous. Pemaquid Point saw its share of wrecks, as the combination of treacherous rocks and Atlantic storms brought ships against the rocks in heavy fog. In 1903 two schooners suffered tragedy in the same storm. Later, in 1917, another struck the rocks, and while the crew escaped safely, the ship and its cargo was lost. The town of Bristol purchased the keeper’s house in 1940, and maintains the grounds and its small park area, plus operating a small fishermen’s museum. In 2007 the lighthouse tower was refurbished and strengthened, as well as being repainted. Pemaquid Point lighthouse remains one of the most photographed, painted and admired lighthouses along the Maine coast, and is a favorite of many – appearing on the Maine U.S. quarter dollar in 2003. Scott – thanks for recommendation to see Pemaquid Point Lighthouse whilst we stayed with you. For me, this had to be the most beautiful spot we visited when we came to Maine this summer. I have to admit that Rob visited the lighthouse whilst I sat and watched the sea and just absorbed it all. 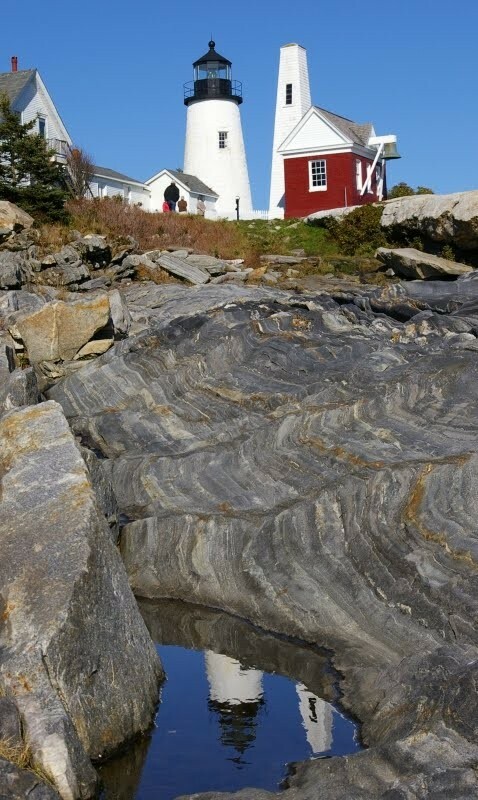 As you know, Pemaquid Point is my favorite (though whenever I have opportunity to see some of the others, they challenge it’s place in my heart) – not because the structure is magnificent, for others are more so. It is for the setting – perched high above the water, yet you can walk down the rocks, or sit and admire the scene. There is a completely different view from above or below, from the right side or the left. And, then there is ice cream….